Prof Hugo Cáceres Guinet CFC is at present Executive Director of the Centre Mundo Mejor in Chimbote, Peru. After studying at the Gregorian University (LTh) and at the Pontifical Biblical Institute (LSS) both in Rome, he served as Professor of the Synoptic Gospels at the Institituto Teológico Juan XXIII in Lima, Peru, for fifteen years. At the moment he is a member of the Theological Commission of the Peruvian Religious Conference. He preaches retreats to promote a biblical and contemporary spirituality that acknowledges difference and unity. His last book Jesús el varón, Aproximación bíblica a su masculinidad – “Jesus the Man. Biblical Perspective on his Masculinity” (Navarra 2010), is the collection of a long sequence of articles published in Latin American magazines. 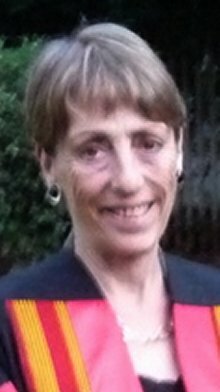 Dr Deirdre Carabine has lived and taught in Uganda for twenty years. She is currently Vice-Chancellor at the Virtual University of Uganda, the first fully online university in Sub-Saharan Africa. A philosopher / theologian by training, she attended the Queen’s University of Belfast (Department of Scholastic Philosophy) where she graduated with a PhD in Philosophy, and University College Dublin where, as a pioneer Newman Scholar, she gained a second PhD in Classics. She has taught at Queen’s Belfast, University College Dublin, and Uganda Martyrs University (where she resigned as Deputy Vice-Chancellor in 2005). Her next task was the setting up of International University of Health Sciences in Kampala – a stimulating challenge for a philosopher! Deirdre’s main academic work centres around the theme of negative theology and her book: The Unknown God: Negative Theology in the Platonic Tradition: Plato to Eriugena (1995) is currently being reprinted due to high demand. 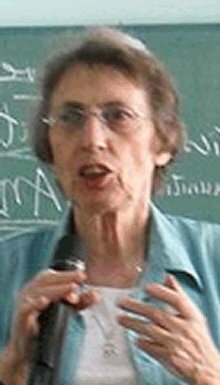 She also wrote John Scottus Eriugena for the Great Medieval Thinkers Series (2000). Her articles explore negative theology in the early Church Fathers, including St Augustine, Clement of Alexandria, Gregory of Nyssa, the Pseudo-Dionysius and Simeon the New Theologian. She examined the negative theology in the work of Hans Urs van Balthasar in a seminal article: “The Fathers”, in The Beauty of Christ. An Introduction to the Theology of Hans Urs Von Balthasar, eds T. Norris and B. McGregor, Edinburgh: T&T Clark, 1994, 73-91. She gave the keynote address at the American Catholic Philosophical Association Conference, University of St Thomas, Houston, Texas in 2003. Her two current projects are: an article on “Meister Eckhart and Mister God: Re-visiting Anna’s Negative Spirituality” and a volume entitled: Spirituality for a New Millennium: The Negative and the Ordinary. Bishop Casaldáliga’s books include the following: Yo creo en la Justicia y en la Esperanza. Diario hasta 1975 (1977); La muerte que da sentido a mi credo. Diario 1975-1977 (1980); Qué es la Misa (1980); Experiencia de Dios y pasión por el Pueblo (1983); Nuestro catecismo (1983); En rebelde fidelidad. Diario 1977-1983 (1984); Al acecho del Reino (1988); El vuelo del Quetzal (1989); Espiritualidad de la liberación (with J.M.Vigil, 1992); Nuestra Espiritualidad (1998). But he is best known for his poetical works: Palabra Ungida (1955); Clamor Elemental (1971); Missa dos Quilombos (1980); Missa da Terra Sem Males (1980); Cantares de la entera libertad (1984); El tiempo y la espera (1986); Antología mariana (1991); Todavía estas palabras (1994); Sonetos neobíblicos precisamente (1996). 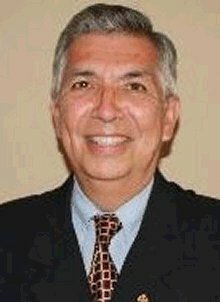 Dr José Marías Castillo Sanchez is Emeritus Professor of Theology at the University of Granada, Spain. He has been a visiting professor at the Pontifical Gregorian University in Rome, at the Universidad Pontificia Comillas in Madrid and the Central American University “José Simeón Cañas” of El Salvador. Professor Castillo holds strong views on what the Church should be like. He has been very critical of the ecclesiastical hierarchy. 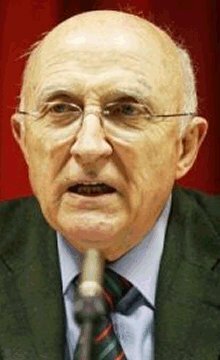 In 1988, he was punished by the withdrawal of the “placet” by the hierarchy as professor of theology at the University of Granada, under pressure from Rome, on account of his views on the nature of the Church. Professor Castillo is a prolific writer. The following titles speak for themselves: Oración y existencia cristiana (1969); ¿Hacia dónde va el clero? (1971); Teología de la Iglesia(1974); La Iglesia de Jesucristo (1974); El discernimiento cristiano según San Pablo(1975); La alternativa cristiana (1975); De la ambigüedad al compromiso (1977); Teología de la Iglesia (1981); El discernimiento cristiano (1981); El seguimiento de Jesús (1983); Eucaristía y vida, hoy (1986); Teología y magisterio (1986); Los ministerios en la Iglesia (1987); La Iglesia y los Profetas (1989); Teología para comunidades (1990); El Evangelio de Jesús (1995); La Iglesia y el Evangelio (1995); Iglesia, comunidad y liberación (1995); Cómo ser cristiano (1995); Los pobres y la teología. Qué queda de la Teología de la Liberación (1997); El Proyecto de Jesús (1998); Escuchar lo que dicen los pobres a la iglesia (1999); El reino de Dios : por la vida y la dignidad de los seres humanos (1999); Símbolos de libertad : teología de los sacramentos(2001); Dios y nuestra felicidad (2001); La Iglesia que quiso el Concilio (2001); El futuro de la vida religiosa : de los orígenes a la crisis actual (2003); Víctimas del pecado (2004); Iglesia y sociedad en España (2005); La ética de Cristo (2005); Humanizar a Dios: El Padre, el Hijo, el Espíritu Santo (2005); Leonardo Boff, el precio de la libertad (2006); La Iglesia y los derechos humanos (2007). 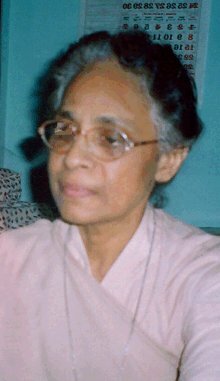 Sr Pauline Chakkalakal of the Daughters of St Paul (India) studied Philosophy at Dharmaram College, Bangalore; Theology (BTh) at St. Peter’s Pontifical Institute, Bangalore, and Biblical Theology (MTh) at the Pontifical Institute of Philosophy & Religion in Pune. She obtained her Doctoral Degree in Biblical Theology from Serampore College, India, through the South Asia Theological Research Institute at Bangalore. Dr Chakkalakal has taught at the Pontifical Institute at Pune, at the CRI Brothers’ Institute, Bangalore and was a visiting professor at Louvain University. At present she teaches Biblical Theology at the Institute of Mater Dei in Goa and at Dhanyalaya- Sisters’ Training Centre in Mumbai. Dr Chakkalakal is actively engaged in women’s empowerment programmes and inter-religious and ecumenical activities. She has presented papers on “Asian Feminist Theology”; “Women’s Discipleship & Leadership in the Jesus’ Movement”; “Paul & Women”; “Women in Christian Tradition, in Contemporary Society & Church”; “Gender Justice” and “the Liberative Mission of the Church in a Multi-Religious Context” at national and international conferences. She has conducted seminars for Bishops and Provincials (Women & Men Religious). She is a member of the Ecumenical Association of Third World Theologians (EATWOT), Indian Theological Association (ITA), Catholic Biblical Association of India (CBAI), Society for Biblical Studies India (SBSI), Indian Women Theologians’ Forum (IWTF) & Satyashodhak, a Mumbai-based Feminist group. She is associated with Bombay Urban Industrial League for Development (BUILD, an NGO), the Forum of Religious for Justice & Peace, and several secular and church-related women’s organizations. Dr. Pauline has served (a two-year term) as President of SBSI, an Ecumenical Bible Scholars’ Forum. Apart from his professorship at Manizales University (from 2004), Professor Chica held teaching posts and was visiting professor at various universities, such as the Faculty of Economics/CEDE, Universidad de los Andes; FEDESARROLLO (Fundacion para la Educacion Superior y el Desarrollo, Bogotá); the Iberoamerican Institute for Economic Research, University of Goettingen, Germany; Centre of Latin-American Studies, Oxford University, UK; Bangkok Research Centre (IDE-JETRO) and the Institute of Developing Economies (Japan External Trade Organization, Tokyo). He has been or is researcher and consultant for ECLA; GTZ (German Development Agency); Oxford Analytica; IFI (Colombian Institute for Industrial Development); the Ford Foundation; CELAM (Latin American Bishops’ Conference); United Nations’ UNDP ‘Functions and instruments of development banking’; the World Bank; and the ILO (International Labour Organization) at Geneva. Professor Chica has published numerous books, research reports and articles on Economics. 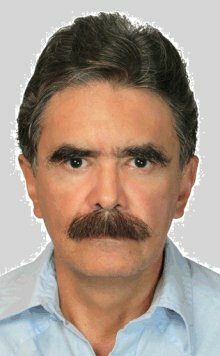 However, as a committed Catholic and regular columnist for Portafolio (“El Tiempo” newspaper on economics, business and finance), he frequently writes on issues directly affecting the Catholic Church. Examples are: 2013: “Por el dialogo a la relevancia: la doctrina social de la iglesia frente a las ciencias sociales” Revista Javeriana, Junio/2013 No 795; (with others) “Growth determinants in Latin America and East Asia: ¿has globalization changed the engines of growth?” Coyuntura Económica Fedesarrollo Vol XLII No. 1 Junio 2012; “A basic framework for development strategies” Bangkok Research Centre Discussion Papers 28 January 2011; “View points on Conjuncture, Development and Globalization”, Universidad Tecnologica de Bolivar-Universidad Autonoma de Manizales 2010. Othere relevant articles for this year in Portafolio were: “HUMANAE VITAE: 45 AÑOS”; “Benedicto xvi” and “El Papa Francisco”. His publications are: Beyond the Qumran Community. The Sectarian Movement of the Dead Sea Scrolls (Eerdmans 2010); King and Messiah as Son of God, co-author (Eerdmans 2008); A Short Introduction to the Hebrew Bible (Fortress 2007); The Bible after Babel. Historical Criticism in a Postmodern Age (Eerdmans 2005);Encounters with Biblical Theology (Fortress 2005); Jewish Cult and Hellenistic Culture (JSP Sup 100; Brill 2005); Does the Bible Justify Violence? (Facets; Fortress 2004); The Hebrew Bible. An Introduction(Fortres, 2004); Jewish Wisdom in the Hellenistic Age (Old Testament Library; Westminster 1997); Seers, Sibyls and Sages in Hellenistic-Roman Judaism (Brill 1997); Apocalypticism in the Dead Sea Scrolls (Routledge 1997); Families in Ancient Israel, co-author (Westminster 1997); Qumran Cave 4. XVII. Parabiblical Texts, Part 3, co-author (DJD XXII; Clarendon, 1996); The Scepter and the Star. The Messiahs of the Dead Sea Scrolls and Other Ancient Literature (Doubleday 1995); Daniel (Hermeneia; Fortress 1993); Daniel, with an Introduction to Apocalyptic Literature (Forms of Old Testament Literature 20; Eerdmans 1984); The Apocalyptic Imagination (Crossroad 1984); Between Athens and Jerusalem: Jewish Identity in the Hellenistic Diaspora (Crossroad 1983); The Apocalyptic Vision of the Book of Daniel (Harvard Semitic Monographs 16; Scholars Press 1977); The Sibylline Oracles of Egyptian Judaism (Scholars Press 1974). 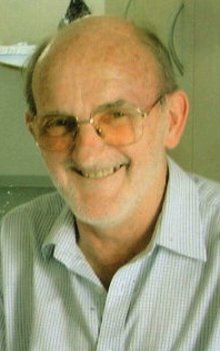 Dr John N Collins STL, BSS, PhD, DipEd, is Lector Emeritus of Yarra Theological Union in Australia. He has a long-standing interest in Christian ministry: its theological roots, 20th century transformations, its ecumenical dimensions, and contemporary possibilities for renewed forms of ministry. These interests arose from his doctoral thesis in New Testament Studies at University of London King’s College. 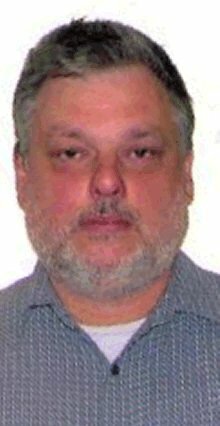 A related interest is Religious Education, in which he was engaged for over 30 years. Over the last decade he has collaborated on issues affecting the modern diaconate with German and Nordic Lutheran diaconal institutes, with the Church of England in the UK, and, currently, with the Roman Catholic dioceses of Brisbane and Newcastle, and with the archdiocese of Melbourne in its new diaconal programme. 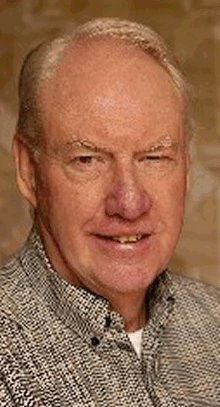 Dr John N Collins has published widely on issues of ministry in the church, especially the diaconate. 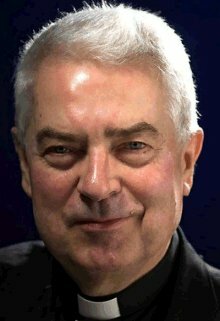 In 2003 and 2005 he extensively researched the modern diaconate in Germany, Holland, Sweden, UK, Ireland and USA in Roman Catholic, Anglican and Lutheran circles. His publications include: Diakonia: Re-interpreting the Ancient Sources (1990; re-issued 2009); Are All Christians Ministers? (1992); Deacons and the Church: Making connections between old and new (2002). 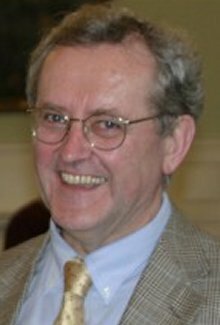 More recently he wrote: ‘Re-interpreting diakonia in Germany’ (Ecclesiology 5/1 January, 2009); ‘A German Catholic view of Diaconate and diakonia’ (New Diaconal Review 1/2 May 2009). Paul Collins’ books have had an impact through the world. The principal ones are: Mixed Blessings (Penguin Books, 1986); No Set Agenda: Australia’s Catholic church faces an uncertain future (David Lovell Publishing, 1992); God’s Earth: Religion as if matter really mattered (Harper Collins, 1995); Papal Power: A proposal for change in Catholicism’s third millennium (Harper Collins, 1997); Upon This Rock: The popes and their changing role(Melbourne University Press, 2000); From Inquisition to Freedom: Seven prominent Catholics and their struggle with the Vatican (Simon and Schuster, 2001); Hell’s Gates: The terrible journey of Alexander Pearce, Van Diemen’s Land cannibal (Hardie Grant, 2002); Between The Rock and a Hard Place: Being Catholic today (ABC Books, 2004); God’s New Man: The legacy of Pope John Paul II and the election of Benedict XVI (Melbourne University Press, 2006); Burn: The epic story of bushfire in Australia (Allen & Unwin, 2006). Dr Mary Condren is lecturer at the Centre for Gender and Women’s Studies, Trinity College, University of Dublin, Ireland. She has degrees in theology, sociology, and social anthropology from the University of Hull; religion and society from Boston College, and a doctorate in religion, gender and culture from Harvard University. She has published widely on issues of feminism and religion, and on the interrelationship between religion, violence and gender. Her groundbreaking work is The Serpent and the Goddess, a study on women, religion and power in Celtic Ireland, 1989, Harper San Francisco. She edited the sub-section on feminist theology and philosophy in the Field Day Anthology of Irish Women’s Writing (vols 4 and 5). She is currently completing books on the roles of women and men in the sacrificial social contract. She has completed the BodySoul Leadership Training Programme with the Marion Woodman Foundation. 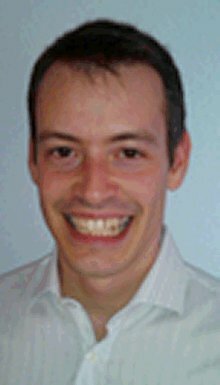 Dr Luca Badini Confalonieri is Director of the Wijngaards Institute for Catholic Research, London, UK. Previously he was Research Associate at the Jubilee Centre for Character and Values, School of Education, University of Birmingham, UK. 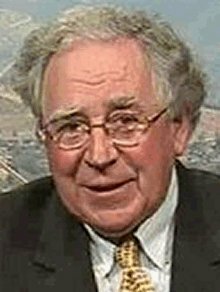 He studied theology at the Faculty of Catholic Theology of the Université Marc Bloch (now Université de Strasbourg, France); the Department of Theology and Religion of Durham University in the UK; and the Lonergan Institute of Boston College (USA). His doctoral research: Democracy in the Christian Church. An Historical, Theological and Political Casehas now been published as a monograph (T & T Clark International 2012; as Ecclesiological Investigations, vol. 16; 304 pages). It focuses on overcoming some of the obstacles to democratizing the governance and decision-making of the Catholic Church. Away from his studies he supports the movement for disarmament “Transform Now Ploughshares”, and has also signed “The Clergy Letter – from American Christian Clergy – An Open Letter Concerning Religion and Science” which supports the theory of Evolution. Among his books are: Trinitarian Christology: The Power that Sets Us Free (Paulist Press 2010); Justice, Jesus, and the Jews. A Proposal for Jewish-Christian Relations(Liturgical Press 2003); Responses to 101 Questions About Jesus. Christology as Narrative Quest (Liturgical Press 1997); The Historical Jesus (Ave Maria Press 1986); The Jesus of Faith: A Study in Christology (Paulist Press 1981). He has also written classical articles such as “Jesus from the Other Side of History. Christology in Latin America” in Theological Studies 44 (1983) pp. 258-287. 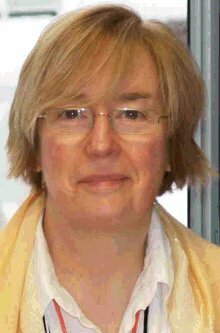 Professor Sr Kathleen Coyle SSC teaches theology at Maryhill School of Theology, Manila, and at the Institute of Formation and religious Studies in the Philippines, which is now an Asian Centre with eleven nationalities. For 14 years she was a faculty member of the East Asian Pastoral Institute and editor of its journal EAPR. She spends each October in Myanmar teaching theology for the Archbishop of Yangon’s Teacher Training program as well as at the Myanmar Institute of Religious Studies. Full credentials to follow.